Discover the brilliant space where how you make a difference aligns with how you make a profit. The Herb Amster Center is model to other mission-driven non-profits for using social entrepreneurship as a method of creating sustainability against a tightened funding landscape. Concurrently, the center serves as a door through which Corporate America can enter as it seeks a better balance of money and meaning. We have the wide-ranging experience and passion to help organizations committed to truly serving their employees and clients. 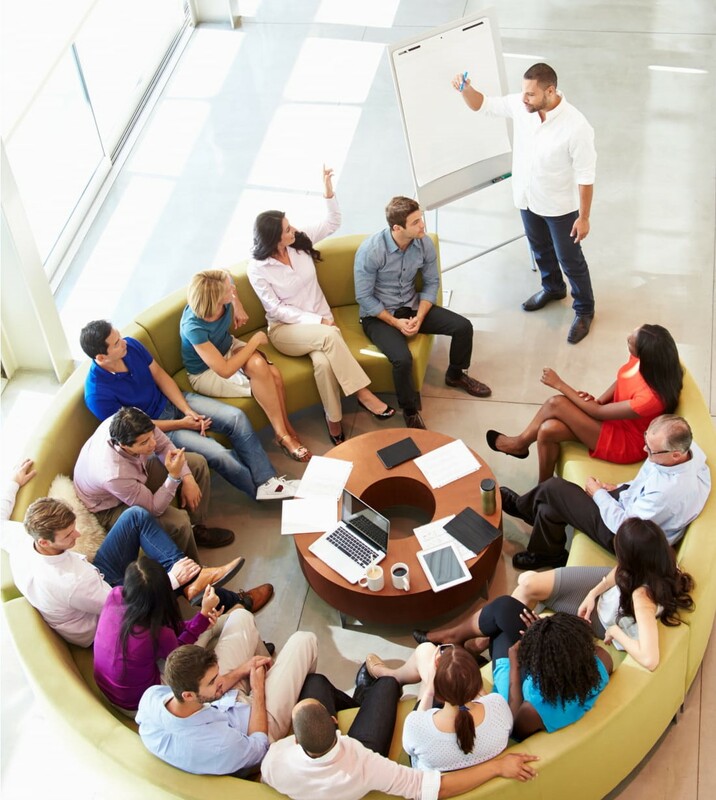 Amster Center training and development programs are customizable to your organization’s processes, needs and goals and fall within four distinct areas. As workplaces become more diverse, having the skills to work with, serve, and support people of different cultures is crucial to your organization’s success. Weaving well-being into the culture of your organization has been proven to produce profound results for your employees, your clients, and your bottom line. Teamwork fosters personal growth. Understanding how to resolve conflicts and trust teammates, empowers your team to creates more impressive, sustainable results. Without a clearly defined leader, team foundation may crumble. Professional coaching is a way for your organization to invest in your leaders’ success. If you are a business or community leader looking for support, an investor or a volunteer, we would love to be in touch.